Choosing the right fishing boat is essentially a trade-off between speed and stability, says Dave Barham. 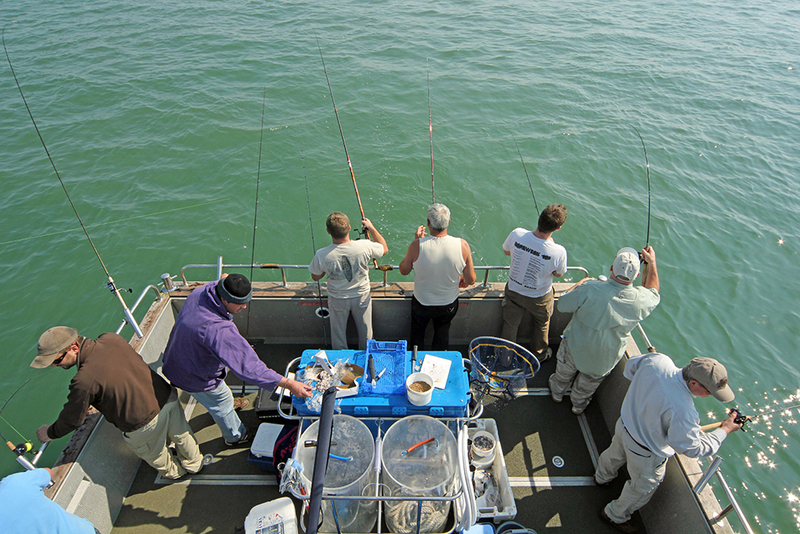 So you're interested in boat fishing, perhaps you have tried a few charter fishing days or joined an angling club. Now, assuming you want to get more involved in the sport, it's time to choose the right type of fishing boat for the job. But it can be a minefield, not helped by the fact that most manufacturers and dealers provide a bewildering array of choice and performance claims. Unfortunately, there is no such thing as the perfect boat design, for fishing or otherwise. Each type of hull has its own unique handling characteristics and sea-keeping qualities, but for every plus point, there is always a minus to go with it. While one hull is designed for speed another is built for stability. Here’s a look at the basic types of hull that have all been used to produce fishing boats, along with their plus and minus points. You need enough beam on a boat to make fishing comfortable. As the name suggests a displacement hull is designed to push through the water, as opposed to over it, displacing it (pushing it away) as it powers forward. The main drawback of this hull is that it creates a lot of drag, which in turn limits the top speed of the boat. When the maximum speed is reached, that's your lot. The laws of physics, which says that the maximum achievable speed is 1.34 times the square root of the waterline length, govern performance of these hulls. The square root of a 16-foot displacement hull is four, which multiplied by 1.34 gives a top speed of 5.36 knots. Putting a bigger engine on the back will not increase that speed, in fact it will make the boat less safe. Too much weight and thrust will cause the bow to rise, reducing stability under power, making it more likely to turn over in rough weather. Some innovative thinking has brought the displacement concept into the modern world. 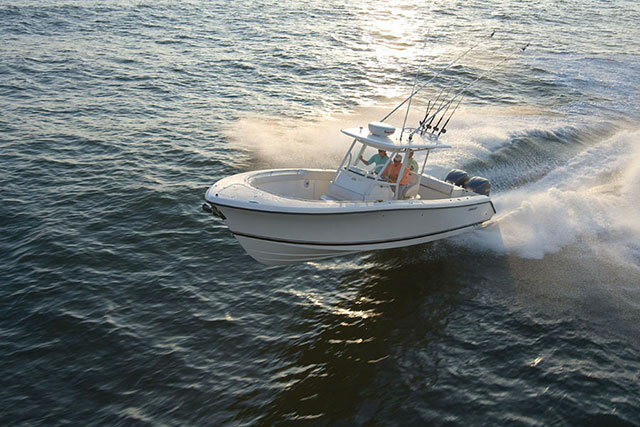 Semi-displacement hulls, created by flattening the rear half of the hull to give the front end lift and increase its pace, are quite popular in the world of fishing. Most folk want the speed from a fast planing hull, but speed can bring a whole range of potential problems with it, not least of which is knowing how and when to use it, but that’s another story. 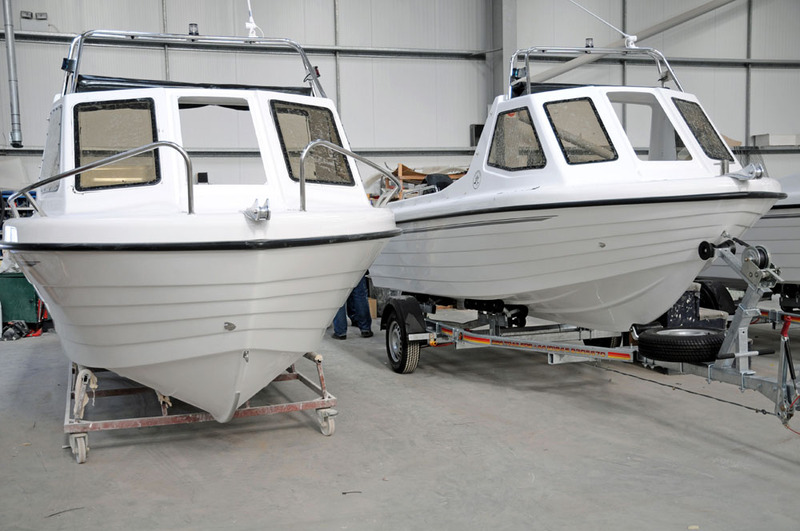 The first fast fishing boat to hit the UK mass market was the cathedral hull. Two bow-to-stern arches under the hull, created by it having three keels, combines pace with exceptional stability on the water. The floor is flat and the beam is usually uniform along its entire length, rather like a shoebox! 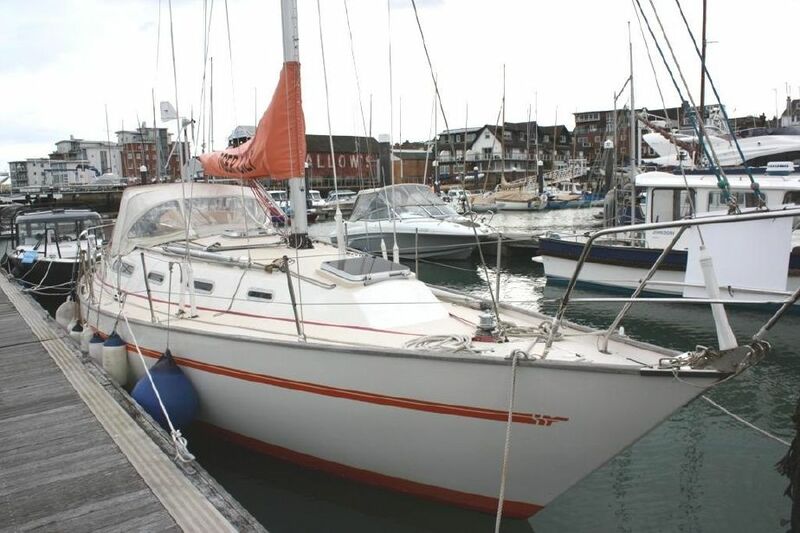 This type of hull is extremely stable and they are great at anchor or on the drift. You can walk about on deck with little to no movement of the boat in the water. They’re great for beach launch and retrieving too because they sit upright when grounded. However, for every plus there in a minus, and a cathedral hull has one big minus – they’re really not good while on the move in a nasty sea. They slam excessively if too much power is applied, and if you’re going too slow and come down off the plane to cope, they can become thirsty for fuel. The semi-cathedral hull is designed to get over the ‘bumpy ride’ issue. This is achieved by reducing the depth of the two outer keels and taking them further back than the deeper centre keel, giving the hull a better cutting entry into a lumpy sea. Obviously, something has to be sacrificed, which in this case is some stability. Semi-cathedral hulls are less laterally stable than full cathedrals. The move from full to semi-cathedral has produced a much better boat to the point that there are not too many full cathedral hull boats built these days. V-hulls are extremely popular with fishermen. To be honest a V-hull is not that far removed from a modified semi-cathedral hull. Flattening underneath towards the back half of the under hull is what allows this boat to plane. 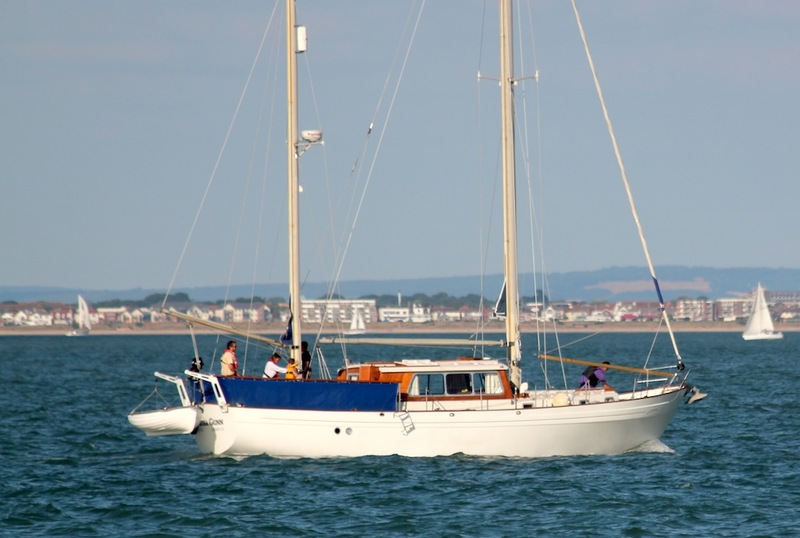 Having a single cutting keel gives a much smoother entry into a bumpy sea, and consequently a much more comfortable ride. They also sit well at anchor in terms of reduced slamming. But V-hulls, like all other designs, do have some drawbacks. The main one is slightly reduced lateral stability - as a rule, the wider the beam the better the stability. Another problem can be yawing (veering to one side) in a rough following sea, particularly at low power. Hulls with a wide parallel beam have less of a tendency towards doing this than those that curve in towards the stern. 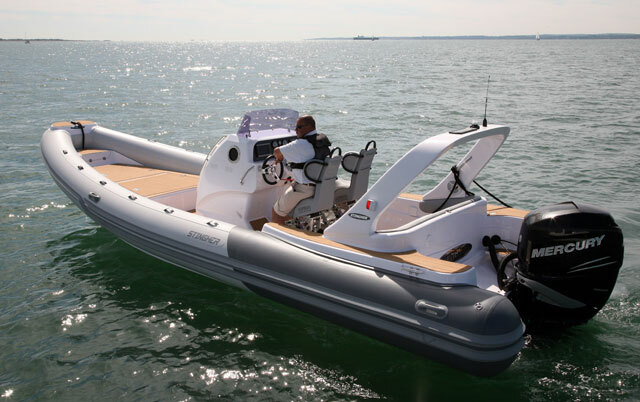 Rigid Inflatable Boats (RIBs) are now being made angler-friendly and their pace and safety in the harshest sea conditions has no equal. Because they have a V-hull from bow to stern stabilised by tubes, you will not find a more comparable small boat ride at the sort of pace a RIB can sustain. They are stable, comfortable, and incredibly safe. 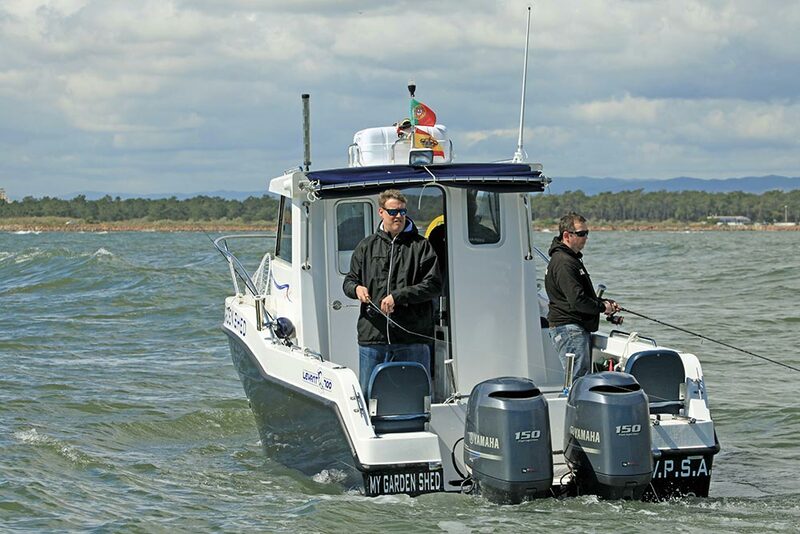 In France, the RIB is the main choice of serious bass anglers. It allows them to fish in rough weather and will get them to and from their offshore fishing marks very quickly. 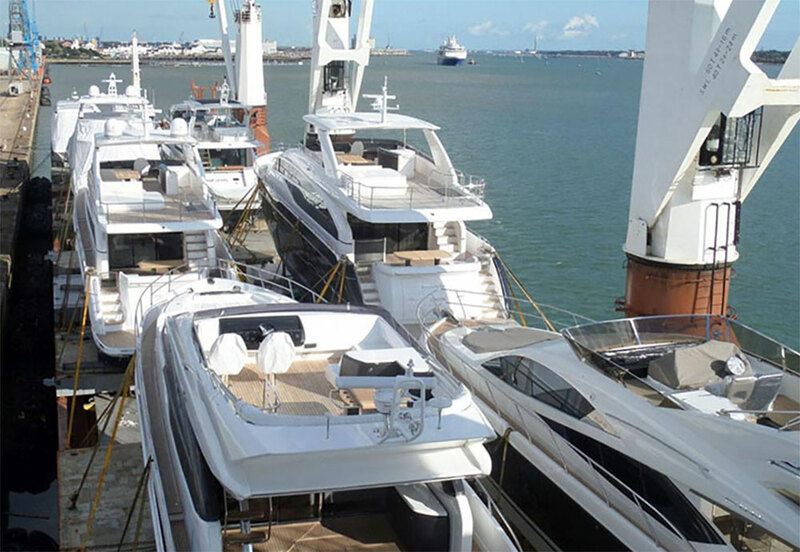 The catamaran hull design has really come to the fore in recent year with fishermen. Cats have become increasingly popular in recent years, especially with charter skippers. They make exceptionally stable fishing platforms, and provide a very safe, comfortable ride, particularly into and with a following sea. In addition, they sit totally upright at the water’s edge and offer increased fishing space due to their wide beam. 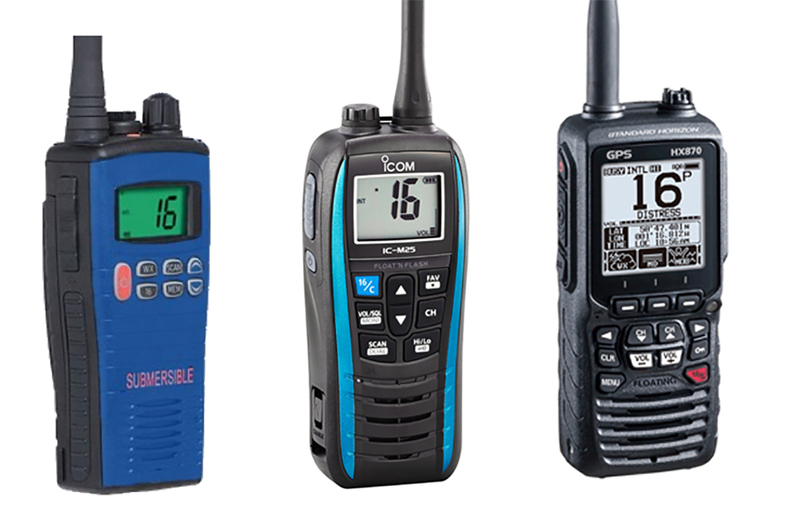 Recent designs have provided a whole range of powering options, with outboard engines now becoming increasingly popular. 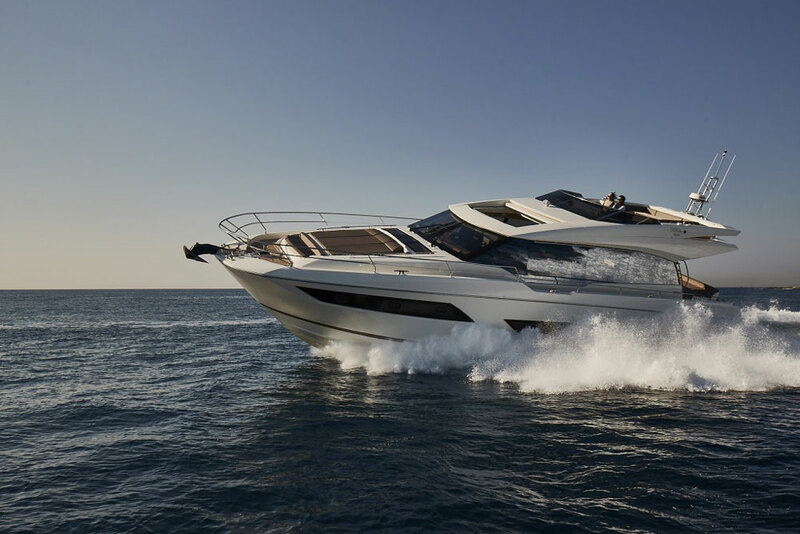 Manoeuvrability is far greater than you would expect, mainly down to the twin-engine design, and some of the modern power cats are capable of staggering speeds – a 40ft boat can do more than 40 knots! 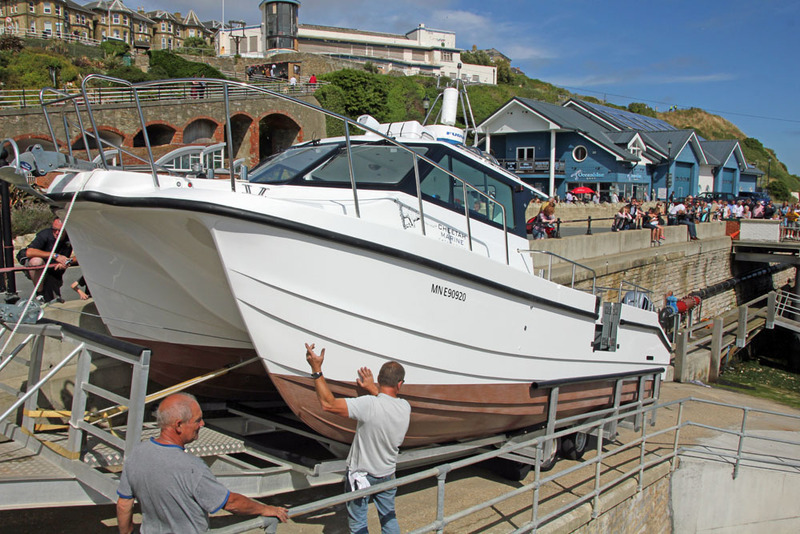 For more advice on choosing a fishing boat, see our guide to powerboat buying: which powerboat is right for me? Also read Sports fishers: five top fishing boats and read Alex's Smith's tips on picking the perfect boat for fishing. For more on boat fishing in the UK, see Dave Barham's guide to boat fishing in the UK and our the UK's main fish types.